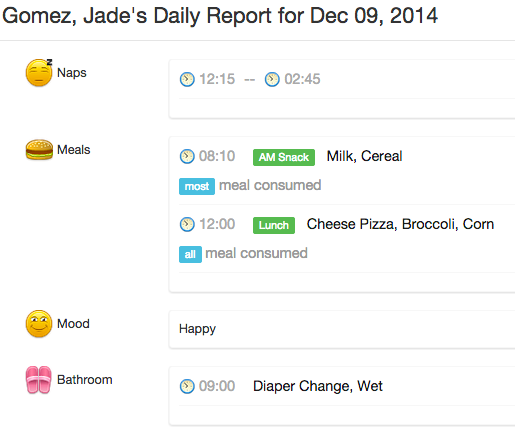 Kinderlime would like to introduce a great addition to our Daily Activities feature: Learning Activities! As you know, staff are able to record a variety of activities from our app and send updates to parents throughout the day. Now, with Learning Activities, staff can record customizable activities like Circle Time, Sensory Exploration, Silent Reading, Outdoor Play, or Art Time. Each activity can then be tagged with customizable developmental learning categories, like fine motor skills, math & science, social and emotional skills, or literacy skills. Preschools and daycares that work with younger children will love using our latest feature to capture how children are practicing their developmental skills throughout the year. With a few clicks, you will be able to update parents on how Ashley practiced sounding out her words during Reading Time, including a picture of Ashley grinning with book in hand. As for Bobby, he’s learning how to hold scissors properly during Art — parents will love seeing the project he’ll bring home at the end of the day! The ability to record a child’s developmental progress is invaluable at a childcare center, and Learning Activities is Kinderlime’s first step toward building a more comprehensive system for lesson plans and milestone tracking. Look forward to more updates in the future regarding these upcoming features! Learn more about our upgraded daily activity and parent engagement features here or via our website.